Darin is a Wyoming native who concentrates his practice on natural resource-related matters and general commercial litigation. 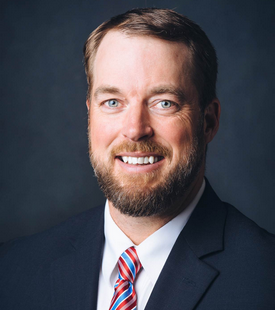 In addition to his litigation practice, Darin represents clients in a wide variety of business transactions, negotiating agreements to acquire and divest oil and gas assets and other commercial properties worth tens of millions of dollars. He also represents clients in connection with large natural resource development projects in the Mountain West, including oil and gas, wind, and solar. Over the course of his career, Darin has worked on lease priority disputes, surface use agreements, farmout agreements, joint operating agreements, unit operations, royalty disputes, drilling contracts, joint interest accounting, NEPA compliance, and various other aspects of oil and gas operations in the Rockies, in addition to general commercial litigation. He has participated in briefing to district courts in Colorado, Wyoming and Utah, the Colorado Court of Appeals, the Colorado and Wyoming Supreme Courts, the U.S. District Courts for the Districts of Wyoming and Utah, the U.S. Court of Appeals for the Tenth Circuit, and the United States Supreme Court. -Lead trial counsel in defense against $30 million claim regarding construction and operation of industrial gas plant. -Trial and appellate co-counsel representing oil and gas company in multi-million dollar dispute arising from mine-through efforts by large coal company. -Lead trial and appellate counsel in obtaining and upholding complete defense jury verdict against claim for more than $90 million in oil and gas farmout contract damages. -Lead trial counsel in obtaining judgment against federal unit operator in Utah for breach of contract and breach of fiduciary duty. -Lead trial counsel for industrial client in defeating speculative railroad condemnation action in multi-phase trial in Wyoming federal district court. -Arbitration co-counsel in successful defense against $45 million contract claim regarding midstream issues in Texas. -Trial and appellate co-counsel in obtaining and upholding $3 million jury verdict in contract damages regarding purchase of an Alaskan fishing lodge. In his free time, Darin enjoys a variety of outdoor activities with his kids, including skiing, hunting, fishing, and camping. He is also a private pilot and raft guide who loves to explore backcountry airstrips and rivers throughout the western United States.